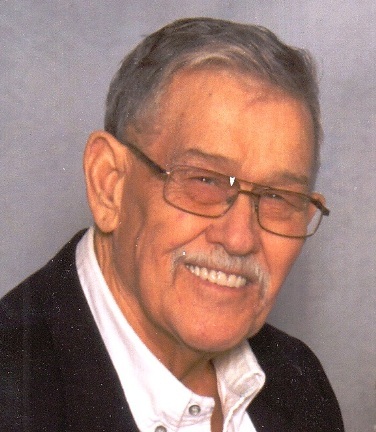 George Dell Hogg of Delhi, Louisiana passed away at the age of 81 in West Monroe, Louisiana on April 11, 2019. He was born December 10, 1937 near Lamesa, Texas. Friends knew him as Dell, but family knew him as Judge, which was a nickname his grandfather gave him at birth. Dell grew up in and around Dawson County Texas working with his dad farming and working around cotton gins. He married Edith Ann Montgomery on February 14, 1959. They moved their young family from Texas to Rayville, Louisiana in 1965. He continued to work in the cotton gin industry until his retirement in 1995. He and Ann moved from the Mengle Road community near Holly Ridge to Delhi that year where he continued to work several more years with his friend Buddy Black at Black’s Gin. He was a member of First Baptist Church Rayville. Funeral services for George Dell Hogg of Delhi were held at 2:00 Sunday, April 14 at First Baptist Church Rayville with Dr. Eddie Wren and Jim Adams officiating. Burial was in the Lamar Cemetery south of Delhi, Louisiana under the direction of Brown-Holley Funeral Home, Rayville. Dell was preceded in death by his son, Jackie Don Hogg, his parents, George and Carolyn Hogg, and his grandson, Tristan Ezell. Survivors include his wife of 60 years, Edith Ann (Montgomery) Hogg, son Monty (Sonya) Hogg, son Kelly (Sandra) Hogg, daughter D’Ann (Gary) Ezell, Brother Leon (Jan) Hogg of Euless, TX, and twin sister Nell Herring of Arlington, TX. He is also survived by 10 grandchildren and 6 great-grandchildren. Pallbearers were his grandsons, Ty Hogg, Levi Ezell, and Preston Ezell; and, grandsons-in-law Jamin Rankin (Carly), John Morgan (Anna Kate), Cade David (Maddie), Dusty Abercrombie (Monica), Josh Williams (Megan), and LE Freeland (Morgan). The family would like to thank Deerfield Nursing and Rehabilitation Center and West Monroe Guest House and Rehabilitation Center for their kindness and patience over the past eight months.